Welcome to our environmental monitoring and forecasting site. 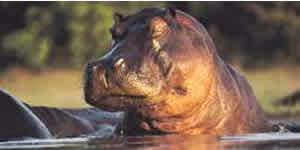 This site is meant to provide you with an overview of current, past and future conditions in the Okavango system. We present here a variety of hydrological, meteorological, remote sensing and environmental data from the Okavango Delta and its environs. These data are/were collected during ORI research projects, through monitoring programme run by ORI and various Botswana government institutions, and from various internet repositories. You will also find here results of climatological and hydrological forecasts for the Okavango System. At this stage the forecasts are issued from time to time, but we are working on providing these on a regular basis. The Okavango Delta is a large flood-pulsed wetland located in northern Botswana. It is a part of the Okavango Basin. The Basin spans from the Cubango and Cuito Rivers flowing from Angola through Namibia, to the Makgadikgadi Pans region of Botswana. The entire system is driven by the annual flood, whereby highly seasonal rainfall generates a flood wave that takes months to move through approximately 1000 km chain of channels and 20,000 km2 of wetlands. Magnitude of the flood changes from year to year and from decade to decade. Here, we are trying to make sense of this variability, and make it more understandable to people who live and work in the Okavango, and people who are just interested in it.